This section covers two theories of what happens following an exercise session. One theory, Supercompensation, is said to cause a decrease in performance following a training session followed by an overcompensation which allows the body to come back stronger. The second theory mentioned is the fatigue-fitness theory. With this theory the book proposes that fitness gains occur immediately but are masked by fatigue and may not appear until this fatigue subsides. In this section Zatsiorsky explains many different methods of manipulating repetitions, resistance, percentages of 1RM, and density to produce a desired training effect. 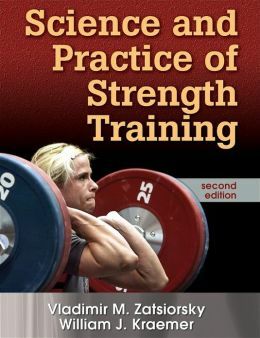 The author shares great insight on specific techniques for training women, youth athletes, and senior athletes. These sections cover the key differences that a relevant to getting members of these groups safely prepared for strength sports or sports requiring significant amounts of strength and power. All and all I think this book is a great read and would make an excellent addition to anyone’s professional library as it covers many key aspects of training in a practical manner. This book can be found online for purchase here.